Sally Franklin Christie is a Marketing Manager for Damnation Books and Eternal Press, she’s also on staff for Writer’s Chatroom http://writerschatroom.com and writes a blog, Life is a Story – Tell it Big at http:sallyfranklinchristie.com/wp. Order Milk Carton People directly from, Ingram, LSI or the publisher, Damnation Books/Eternal Press , P.O. Box 3931, Santa Rosa, CA 95402-9998; or via the Internet at http://www.eternalpress.biz. Also, on http://amazon.com and http://fictionwise.com. 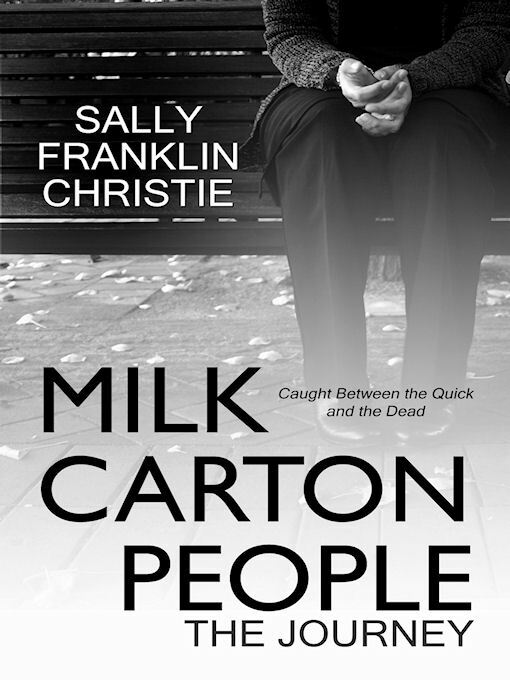 If I Should Die by Sally Franklin Christie published by Eternal Press in 2010 is also available.